Summer may have flown by, but one thing I made sure to do a lot of this summer was read. 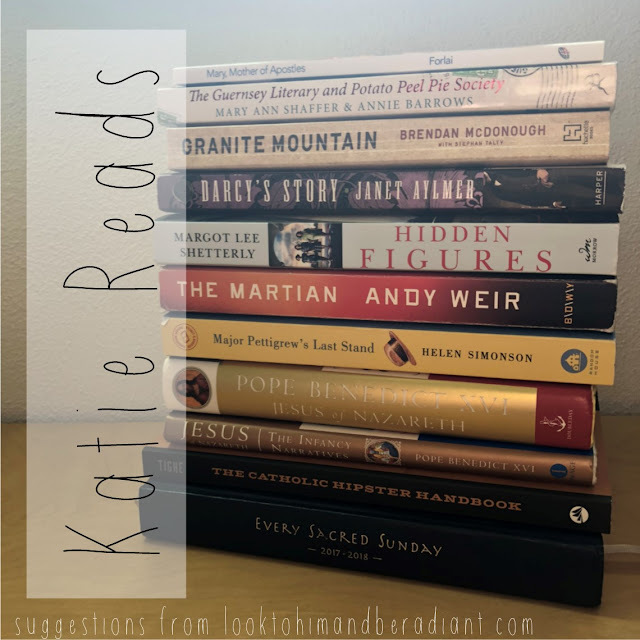 A few weeks ago I shared a few new kids' books, and now here are the books I read for me. :) Forgive the very long post- I'm overdue to share these with you, and the stack of books (literally and figuratively) needs to be shelved so I can move on to the next pile! -This post contains Amazon Affiliate links. That means that if you click through and purchase something, I will receive a small commission at no cost to you. +++Ave Maria Press provided me with a free copy of this book in exchange for an honest review. First up, a few fiction selections, and then on to a bunch of non fiction. This. Book. I can't get enough. Just this summer, I read it twice and also listened to the audio book twice. I absolutely loved it, and just looking at the cover makes me want to start it all over again. First, I have to admit that I was suppose to read this book ten years ago. It was a book club pick, but when I had the borrowed copy, I didn't make it a priority and ended up passing it back without reading it. I went to the book club, but don't remember a thing about the conversation relating to the book (it was one of those book clubs). Fast forward to earlier this summer and I'd heard that it had been made into a movie in England and it was coming to Netflix. That same week I had seen a copy at a thrift store and snatched it up. A couple friends and I talked about it, and I ended up starting it that night at bedtime and proceeded to read it from cover to cover. We later watched the movie, and while very different (I could do a whole post just on that) I loved it too. So after hopefully convincing you that it is now one of my favorite books, I'll fill you in that it is a story set in post WWII England and takes place entirely in the form of letters. (Much like my beloved Dear Mr. Knightley and Daddy Long Legs). ALL of the characters contribute so much to the development of the story and it is much more than just the romance (which is the focus of the movie). If you are into audiobooks, which are not usually my favorite, this one has a whole cast of characters reading this different parts, and their voices and expression had me laughing and crying. I highly recommend it! 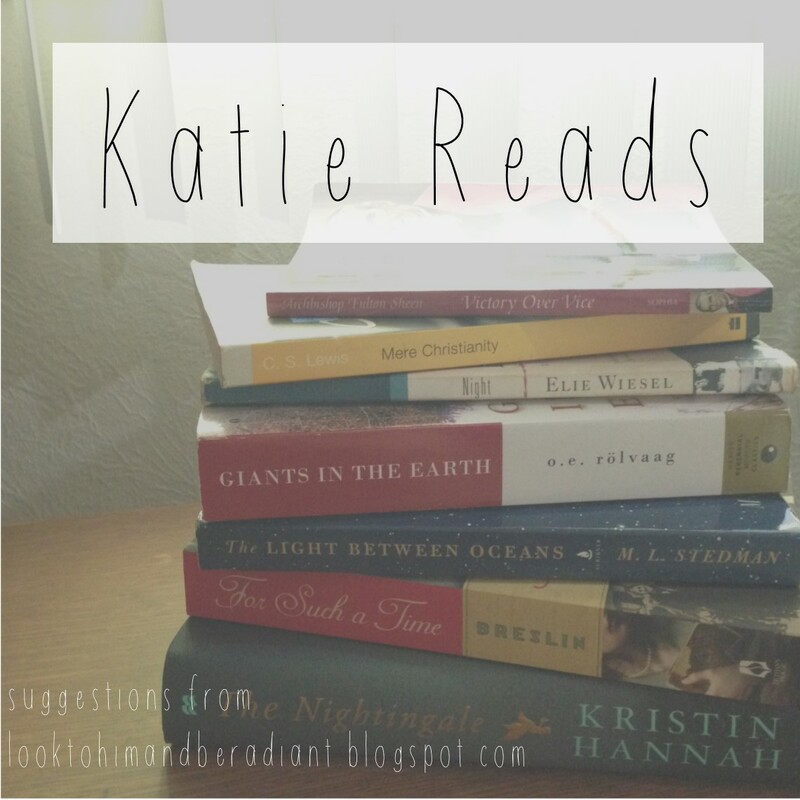 If you've read many of my other Katie Reads post you know I've got a thing for Jane Austen. I'll sometimes pick up an adaptation to try and since this was another thrift store find, it was worth the risk. This book is retelling of Pride and Prejudice but entirely from Darcy's perspective, so the reader learns things which piece together his background and decisions, but it also "left out" of some of Elizabeth's point of view from the original, so it definitely will be better enjoyed by those who know the original story well. There are a lot of adaptations out there and I've tried quite a few, but sometimes I decide to pass after the first few chapters. This one kept me reading because the author really captured Jane Austen's language and storytelling, but without being cumbersome and wordy. A retelling doesn't need to be 300 pages long. I also enjoyed the similar subtle wit woven into the characters and her take on the behind the scenes of Darcy's motives and thoughts. It was a fun, light summer read and I think any Austen fan would enjoy it. Not my typical first choice of book, but while staying at my sister and brother-in-law's over the summer I got teased per usual about the stack of reading I had brought on vacation and how quickly I was going through them. Somehow watching the movie the Martian came up, and I mentioned that I had been wanting to see it. My brother-in-law Luke directly pulled the book off the shelf, handed it to me, and insisted I read it first. I started flipping through it to appease him, but quickly was engrossed in the fast paced plot line. Later that night, my other sister and brother-in-law arrived, and Steven also insisted that I read it. Neither of those guys are big readers, especially of novels, so I figured that there must be something too it. Needless to say, a couple of days later I finished up this book and really enjoyed the humor, the intelligence (not to say that I think all the science is legit yet, just enjoyed the smart dialogue and problem solving) and the fast paced suspenseful plot. We also rented the movie while we were together, and I, engrossed in the plot of the book, was appalled at how much they cut out. Be aware that Matt Damon's survival in the movie is a cinch compared to the real drama of the book. Last fall when I traveled to Georgia for a speaking engagement, I got to meet and spend time with a sweet reader (Hi, C!) who upon my arrival gifted me with this book because she thought I might enjoy it based on previous Katie Reads posts. Isn't that just the nicest? Unfortunately, I didn't get around to reading it until this summer, but am glad I picked it back up. While honestly a little slow at the beginning, this book weaves a compelling tale of flawed characters, the decisions they make, and the meaning and purpose of their lives. It made me reflect on the very real people surrounding me and the things they hoped for, the things they regret, the things they don't feel like anyone else understands. By the end of the book, I just wanted to pull up a cozy chair next to Major Pettigrew and drink a cup of tea (from Mrs. Ali's shop, of course) and listen to his stories. If you liked The Awakening of Miss Prim, you'll like this one too. This was another book I wouldn't normally have picked up, but my dad handed it to me and told me that I should read it. Written by the lone survivor of a team of Hotshot firefighters from Arizona, McDonough shares how becoming one of the prestigious and tough Hotshots literally saved him from a life of crime and drugs. He served alongside a group of men who were willing to risk it all, an in a tragic series of events were all killed while battling the 2013 Yarnell Hill Fire. Brendan was scouting nearby but made it to safety, and the book includes how he dealt with surviving and his call to action to improve firefighter safety. Bringing to the forefront the sacrifices some are willing to make for the protection of others, this book reminded me of the fervent prayers and support needed by our first responders and military. It also reminded me that no one is too far gone to be saved. Everyone deserves to have someone who invests in them, challenges them, and calls them to be better. Featuring just over 100 pages, this little book packs in some serious doctrine and helps define and defend the importance of Marian devotion. I mistook it's size for a quick read, and while it has been, it is also theologically rich and presents a multitude of Scripture references and selected readings from other Marian theologians like St. John Paul II, Bl. James Alberione, and St. Louis de Montfort. I'm leading a Marian Consecration group later this fall, so this was the perfect refresher to get me excited about helping others (and myself) better know and love the Mother of the Apostles. I completely enjoyed the movie based on this book that came out a couple of years ago, so when I found this copy of the book at a thrift store I picked it up for a road trip read. I really liked how it gave so much more background on the women and their families and told the story of many more than the three main characters in the movie. Naturally, the movie had to "Hollywood" the topic and make a more linear plot, but the book gives all the background insight into their lives as well as the unique story behind the author and the book's creation. Well, the short version is to say that these books are blowing me away. After having Pope Benedict's series on Jesus recommended in two different books I was reading, I abandoned the other books and ordered myself some nice (used) hardback copies of what I hoped would be a fruitful study, but one that I could understand and soak in without having to reread each page three times. I have not been disappointed. Pope Benedict's wisdom and teaching style has given me new insights into the Gospels, the person of Christ, and God's plan for salvation. I am rereading some pages three times, not for lack of understanding, but because I'm underlining and taking notes in the margins and cross referencing in my Bible. While I can't say the scholarly approach of this series replaces my first love for Fulton Sheen's Life of Christ, Pope Benedict's collection definitely makes it into the top ten of books that have most formed my faith. I have the third book, Jesus of Nazareth, Holy Week on my bedside table, and I haven't decided if I should just start it now or read it during Lent. If you've read it, what would you do? This is a fun one I've had on my coffee table for a while, but read through it this summer and thought I would share with you. Each chapter features a "Hipster" (or unknown/unique/cool) thing about being Catholic, some funny and modern, some special and traditional, some even weird and forgotten. Those varied chapters also come with varied authors, featuring some of the Whos Who of the Catholic Social Sphere (including Jeannie Gaffigan). A fun book to have around and read a little at a time, this one would also make an entertaining gift for your favorite hard to buy for Catholic. I can't say enough good about the Every Sacred Sunday Mass Journal. I funded this new project last year on Kickstarter, and absolutely love it as an addition to my weekly prayer. The hardbound journal contains all the readings from Sunday and Solemnity Masses for the entire Liturgical Year, as well as a page for each Mass with spots for homily notes, prayer intentions, etc. There are also special pages to help you prepare for the Liturgical Seasons. This and the Catholic Journaling Bible have been the greatest additions to my spiritual development this year. I know that by consistently taking notes during Mass and by rereading the lectionary I am getting more and more out of my Sunday prayer. I also am so impressed by the quality of the book and how it is holding up- I literally have hauled it everywhere since December, sometimes bringing it along for a few days at a time bouncing around in my purse. But the corners are solid, there isn't a scratch on the cover, and it looks as good as new. I think it will make a pretty neat keepsake for the year and a way to reflect back on growth and challenges. I can't wait to order my new copy for this coming Advent! Jared Dees, maybe better known to you as The Religion Teacher, has written another practical and inspiring book about Catholic education. 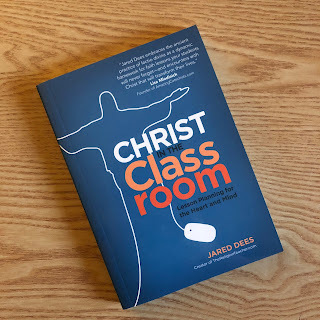 Christ in the Classroom is a compact but thorough handbook for anyone who passes the faith down to kids- most especially catechists and youth ministers, but even those with a background in education and working in Catholic schools could greatly benefit. I also think that parents could garner a lot of wisdom and apply concepts in the "classroom" of their home. You maybe have seen a sign in schools/religious ed departments before that reads, "Christ is the reason for this school. He is the unseen but ever present teacher in its classes. He is the model of its faculty and the inspiration of its students." While completely true, I will also be the first to admit that sometimes we forget that Christ, the Living One, is the center of our classrooms. We are so caught up in lesson plans, and activities, and schedules, and we forget about the true focus. Jared's book helps bring Christ back to the center while also providing solid educational strategies to help increase engagement and improve the catechist's confidence in sharing the faith with their students. The ideas in the book are structured using the Lectio Divina model of praying with Scripture as the outline for planning, setting up, and teaching in the classroom, which I think is a brilliant way to look at catechesis. It is a practical structure not only for prayer or a specific class session, but really a perfect way to look at your goals and purpose for the entire curriculum we are sharing with kids, remembering the end goal of helping them fall in love with Jesus. Pssst- I loved this book so much, it will be featured in a giveaway on my Instagram next week. I'll be giving away two copies as well as some other great catechetical goodies! 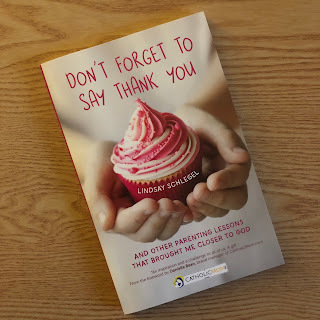 While I might not be a mom, I do frequently find myself saying variations of, "How many times have I told you this?," and "That's not how we behave here," and "Don't forget to say thank you!" In Lindsay's new book on raising up Catholic kids, she creatively ties in those common phrases to lessons she has learned about parenting and growing closer to God. Each chapter takes the words parents have repeated hundreds of times and shows how those saying point directly to truths of the faith. For example, "I'm Sorry," points to Confession. "Eat your dinner," teaches us about the care and dignity of our bodies. 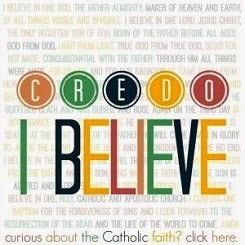 And "No one said it would be fair," models for us the necessity of accepting our crosses. 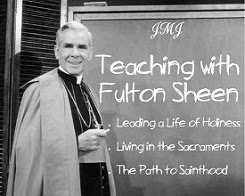 Each chapter contains not only the reflection, but a few questions for consideration or discussion, a prayer, and a connecting Saint. 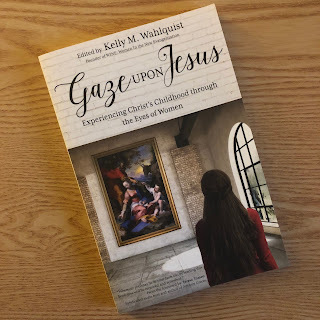 I think the book would be great to read and discuss in a mom's group, but really is a great reminder to us all that our daily words and actions, especially the ones we repeat the most, often take on a sacramental quality and can point us to our Creator and His Church. This book is out now and could be read any time of year, but was designed to be used as a walk through the Christmas and Advent Season. Almost a dozen authors contribute to unique and varied reflections surrounding six events from Jesus' Childhood. 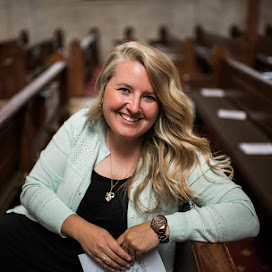 Each section contains a Scripture reflection, connection to real life, a fictional narrative of the event (reminds me of the use of the imagination in Ignatian prayer), a challenge to live out virtue, discussion questions, and more. There is enough packed into one chapter that it easily could be used as a personal retreat or would lend itself perfectly to group study. I also love that one of the tenets of the book is the use of Visio Divina ("Divine Seeing") and full color images are provided for each section, along with guided prayer to use with the lovely artwork. Tying the senses into prayer is a strength of the Catholic faith, and this book makes it possible to bring the art of the masters right into your study. I liked this book so much that I made myself put it down- I only read the first section and then decided it would be worth saving for Advent. Maybe I'll even be able to pull together a group of ladies to read it with! You'll have to let me know if you do the same. So what have you been reading? What from this list would you add to your to-be-read list?